Probably the most painful thing for software developers is to be restricted in technology choice which they want to use in a development. You pay for a conference ticket, listen about new cool frameworks, development approaches or tools… Then you return to office with huge enthusiasm and desire to try at least something on real project. Unfortunately such initiative very frequently meets resistance from different sides: team members don’t want to learn something new, a manager thinks it is risky, a product owner hurries with a next release, etc. Well, if to be honest I described this situation too dramatic. Of course nobody will punish you for proposal to integrate something new in a project. Another question is how to do it right? 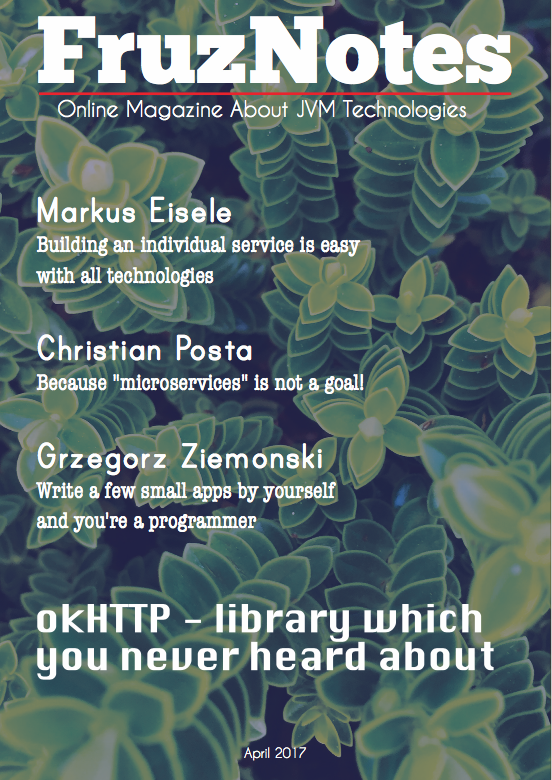 Today I want to discuss an interesting topic – how to use Scala in Java project? This case will be interesting for those developers who want to try Scala in real scenarios. Doesn’t matter what type of app you have: Spring or Spark or something else. 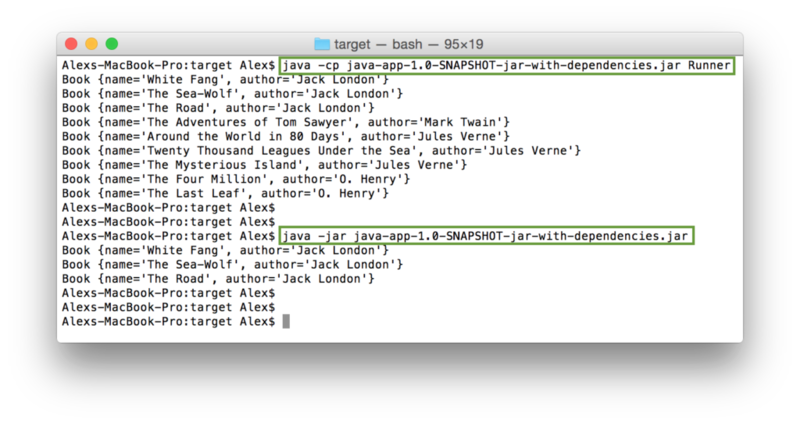 I’m going to demonstrate how to integrate Scala to Maven project. Don’t forget that we have pom.xml file. Definitely it may contain some dependencies, plugins and build goals. This is actually not very important. 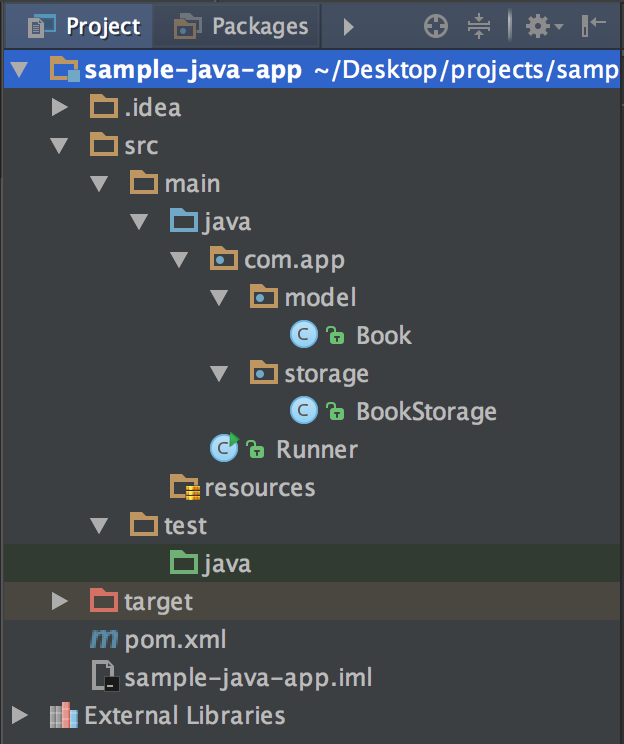 <!-- This plugin adds all dependencies to JAR file during 'package' command. Pay EXTRA attention to the 'mainClass' tag. After this update you need to wait when Maven will download all this stuff and validate it. This is possible if you set auto-update for Maven, otherwise you have to force it manually. Now we can use Scala in the project. For this purpose you need to create two new folders ‘src/main/scala‘ and ‘src/test/scala‘. 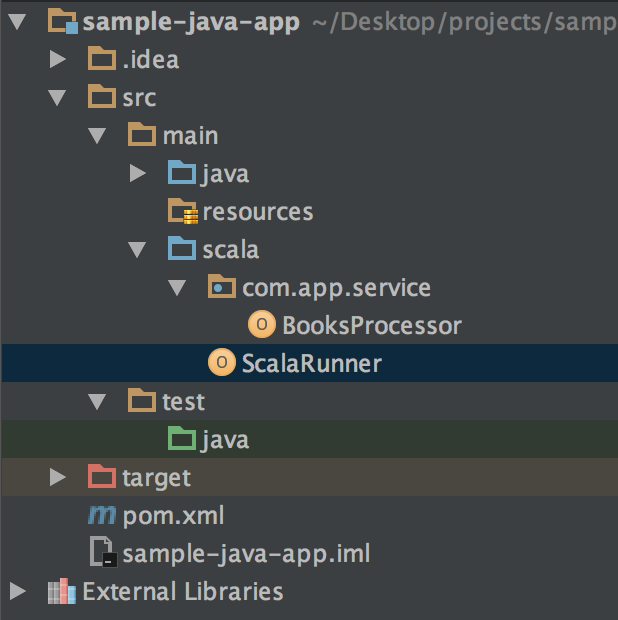 Scala Maven plugin looks at this directories and compiles Scala files in them. What if you want to package this project in JAR file and then run it somewhere? For this you need run mvn package command or use its analogy in IDE. This action produces two jars in the ‘target‘ folder. You need to work with that one which has ‘*-jar-with-dependencies.jar‘ in its name. On the screenshot above I highlighted two options to run the JAR. In the first one you may specify which on class you want to run. In the second one we run the JAR and it run default class specified in the pom.xml ScalaRunner. By the way, you can generate executable JAR by using maven-assembly-plugin and its ‘single‘ goal.